Credits: CyrusTheVirus, Piva, Inmen, Domas225, Pawel92, maPriv, Mar3krugel, Justin, Sergey Sergeyev, Seraoki, Pirs, Volk86, Stels, Vinzel, Axeet, Rimuus, Skorp86, IvanK, Andriuxa56, The4Farming, Solaris36, Taina95, Zeus, Dron4ik194, Vasco, Tasos978, ComandoreOne, Ogneevenko, ILyhaSedioshkin, Ventyres, Maksim Ogneevenko, Denis Filimovov, Kamz, Robertas14, Balkanboy, Antique, Kriechbaum, Term99. 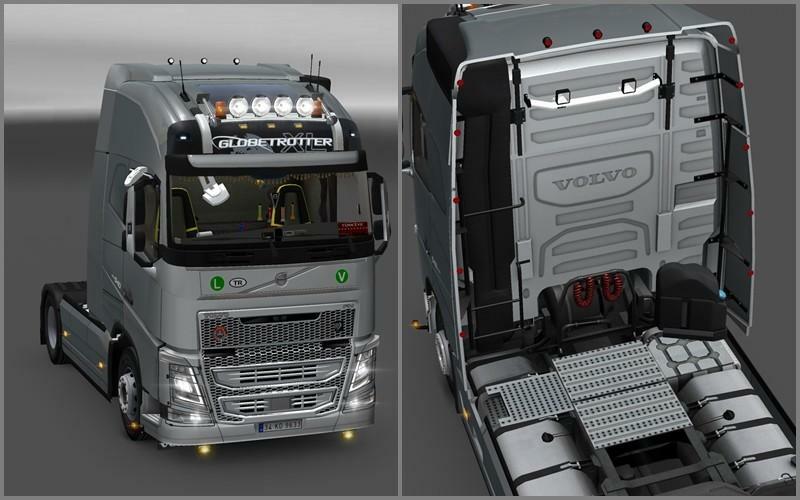 -Adapted for Ets2 1.33.x game version. -Changed GPS position (left side). -New GPS and on-board computer (credits to Piva). -Added & adjusted body colors. -Modified front windshield to be able to drive in rain (windshield wipers do not remove the water).